Video marketing works well for the majority of companies that use it in their marketing strategy. 2019 statistics show 87% of businesses are using video marketing, and 99% of those companies will continue to use video marketing in the future. Video marketing's popularity can be attributed to its biggest strength: income generation. Video allows you to communicate a large amount of information to your consumers in an incredibly efficient way. This is why 87% of consumers want to see more video content from brands in 2019. Video content makes it possible for consumers to learn about your brand, what you offer, how you make their lives better, and how to use your products all within a couple of minutes. Selling is a very visual process. Pictures help show what your product looks like. Video takes it a step further and helps show your product in action. The benefit of seeing a product in action is the same reason why shoe stores want you to try on a pair of shoes: it allows the customer to see themselves using the product. When your customer sees themselves using your product and benefiting from it, you are more likely to land the sale. Video can be used in areas outside of the selling process as well. Explainers, testimonials, and how-to videos are just a few examples of the areas where video can be used to enhance the customer experience. When you make it easy for your customers to find answers to the questions they have about your products, it improves your selling experience. Video is a great way to pitch your product or service to potential customers and build interest in your brand while boosting sales. We all have toddler-like attention spans today due to the amount of information at our disposal. Companies only have a few seconds to tell their audience who they are, what they sell, how it benefits their customers, and how to buy it before they start to tune out. Video is a great way to capture those short attention spans and speak directly with your target customers for a couple of minutes. • 96% of consumers have watched an explainer video to learn more about a product or service. Video gives your customers a chance to see your product in action. This gives them the ability to see themselves using the product, and increases the chances of landing the sale. The goal is to make it as easy as possible for potential customers to see the benefit in using your product or service. You also get the added benefit of being able to analyze your video pitch and see how well you're resonating with your audience. With video, you are able to see when exactly your potential customers tuned out, giving you the ability to identify what areas of your pitch need some love. You can also see at what point your customers generally take an action to purchase and identify what parts of your pitch are working well for you. Video marketing platforms like YouTube and Facebook have tools that bust out some very robust analytics to help you evaluate and improve your video marketing campaigns. Shoppers typically want to know as much as they can before they decide to make a purchase, especially if your product has a large price tag. 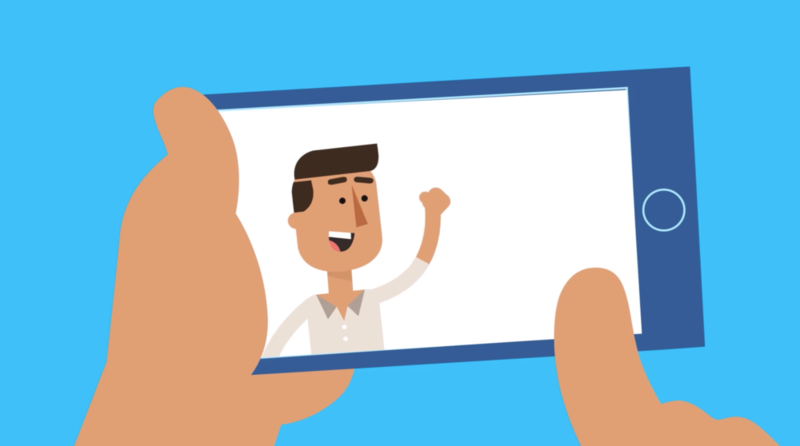 Explainer videos are a way to tell your customers a large amount of technical information in the most efficient way possible. These videos can be used on your product's landing page or during customer on-boarding after they have completed the purchase. When creating the script for this type of video, it's a great idea to put together a list of criteria that are important to your customer when they are making a purchase. Depending on what your brand sells, there may be a lot of FAQs that you get on a regular basis. Putting together tutorial videos can be a huge asset for your customer service team. Creating a visual element to answer questions for your customers will reduce the amount of time your customer service team spends answering those questions. This frees up time for your team to resolve more complex customer service issues, which improves your company's overall customer experience. Making your customer experience engaging and positive is what keeps customer coming back for future business. Since it is 5 times more expensive to land a new customer than it is to keep an existing one, retention is crucial. Enhancing your customer experience with video is a great way to boost retention. Explainer and tutorial videos are great ways to achieve that. How-to and installation videos are other good ways to boost your customer experience. Video content is by far the most consumed form of content on the internet. Video makes up 60% of all monthly mobile data traffic today, and it's projected to reach 74% in the next 5 years. This doesn't mean you should do a website overhaul and have videos plastered all over your site. There needs to be a good blend of visual and written content. A ying and a yang. When you embark down the video marketing path, start out by making 10% of your content video and 90% written. As you figure out what works, adjust your video/written content ratio until you've found the perfect balance for your brand. The statistics from Wyzowl also show that video is very effective in boosting website traffic. 84% of marketers say that video has increased traffic on their sites. That's a really high number. You're probably asking the same question I asked when I saw that number. How much did it increase? Websites using video see an average of 41% more search traffic compared companies without it. When it comes to organic traffic from search engines, websites using video saw a 157% average increase. That's a lot of traffic. Video increases dwell time as well. 81% of marketers say their website dwell time has improved due to video content. Increasing your dwell time will improve your bounce rate as well. This leads to higher sales if you've constructed a good sales path for your customers. Video is a highly engaging form of content. Consumer engagement with video content is stronger than any other form of marketing content. Video promotes brand recall, it resonates with consumers, and it is an incredibly effective way to communicate a lot of information. Consumers love video content. It turns out, video is the #1 favorite type of content that consumers like to see from brands on social media. Video content also ranks as the #1 method for consumers to find a new brand or product. Survey results show that 45% of consumers find new brands from video ads. Consumers are more likely to share video than any other form of content on social media. 48% of consumers are more likely to share video content on social media. That's much stronger than text-driven social media posts (23%), articles (16%), and product pages (3%). Getting your audience to engage with your videos on social ultimately leads to higher sales. Instagram comes in at #3 and is definitely worth mentioning. 48% of users make a purchase on Instagram after viewing a video. This is up 17% from 2017, making it the fastest growing video marketing platform! Knowing all of the facts and statistics behind why video works so well is only part of the battle. Executing a well developed video that truly resonates with your audience is the beast you'll need to conquer in order to see a positive ROI. 1. Make a video that resonates with your target audience while making them feel good. 2. Convey information about your product or service that makes your audience feel your brand has their best interests at heart. Resonating with your audience and making them feel good about your product/service will promote higher brand recall. When they are ready to make a purchase, your brand will come to mind. Making your audience feel that you have their best interest at heart is done by answering common questions about your product. A viewer shouldn’t feel confused after seeing your video, they should feel intrigued. When your videos are able to answer your viewers’ questions while providing solutions to their problems, this leads to higher sales volume. Video content has been shown to boost sales in many different ways. However, the results are never guaranteed. At the end of the day, a successful video campaign ultimately boils down to how well your team is able to build the content and execute it in the right areas. That goes for any area of marketing. With that said, incredible opportunities are out there for companies that incorporate video content into their marketing strategy. We recommend studying the companies that are out there killing it with video marketing. Especially the ones that are in your industry. Dissect their videos to understand each component. Identify how they are speaking to their customers, and then analyze your own thoughts and emotions after viewing their videos. Then go assemble your team and figure out how you can build a campaign better than theirs.